See the TAS calendar for trip details. Click on each leader's name to contact via email. Jose Francisco Barros, DDS, is a Miami-area Endodontist. He has practiced in South Florida for 25 years, and joined Tropical Audubon Society shortly after arriving in Miami in 1987. He joined the TAS Board in 1992 and became its president in 2002. Born in Spain after his family returned to their homeland escaping the revolution in Cuba, Joe and his family immigrated to United States and settled in Jacksonville Florida in 1962. Joe grew up on the North Florida beaches and along the St. Johns River where he came to appreciate the natural environment that made Florida so unique. As a young boy exploring the great outdoors, he learned to identify local fish, snakes and birds. As a boy scout, Joe furthered his knowledge of the environment by hiking and camping in area forests. Primed by his outdoor education, Joe attended University of Florida where he received a B.S. in Zoology. He then attended Emory University where he received his dental degree in 1987; a certificate in Endodontics was earned in 1999 from Nova Southeastern University. Joe’s family had since resettled in South Florida and he followed suit, balancing his private dental practice with his love of Nature. In the 25+ years since joining TAS, Joe has run Native Plant Sales, lead bird and plant walks locally and internationally, and has represented Tropical Audubon Society at numerous events. During his tenure as its president, TAS has been instrumental in defeating plans for the airport at the Homestead Air Reserve Base, protecting Biscayne Bay, holding the Urban Development Line, and supporting the Comprehensive Everglades Restoration Plan (CERP). Joe is also an adjunct professor at the Nova Southeastern University School of Dentistry, teaching clinical and didactic courses there. He recently participated in the international endodontic surgical externships, traveling with the endodontic residents to Peru and Colombia. Joe is married to Helen Torres. Together they enjoy music, traveling and birding, and take great pleasure in the camaraderie of the extended TAS family. 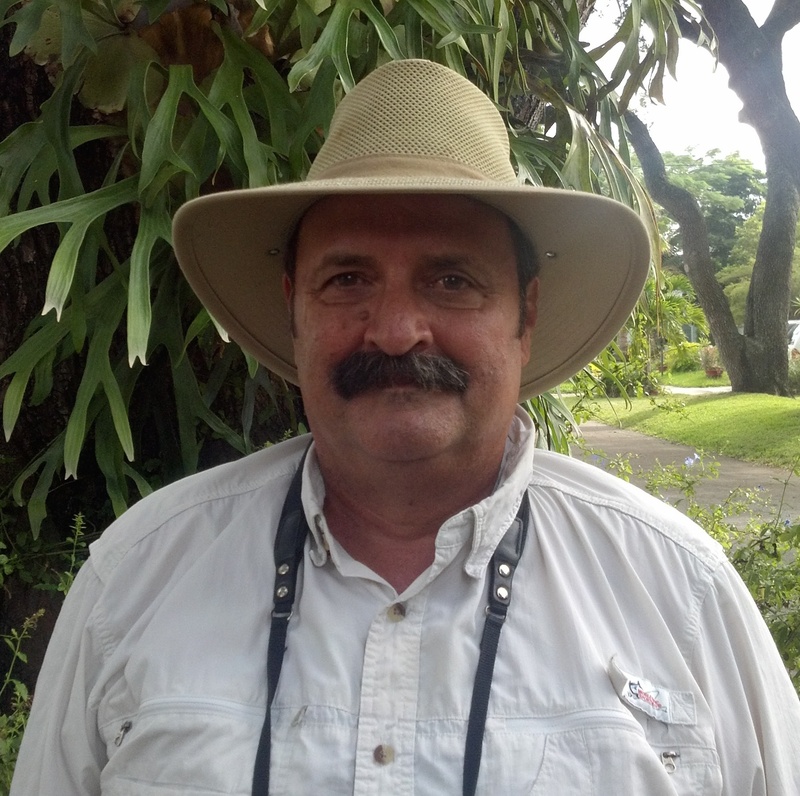 Paul Bithorn is a Miami native and has led birding field trips for Tropical Audubon Society and many other environmental and civic groups for over 20 years. He served for many years as a TAS board member and is currently a board member of Curtiss Mansion, Inc., an organization dedicated to the restoration and operation of the home of Glenn Curtiss, an aviation pioneer and “Father of Naval Aviation.” This beautiful mansion, originally constructed in 1925 and a classic example of Pueblo Revival style architecture, is at 500 Deer Run in Miami Springs. Paul also served as Mayor of his hometown, the Village of Virginia Gardens, for nine years and has encouraged residents to xeriscape by planting native species of plants and shrubs to attract birds and butterflies. Paul has contributed to several bird-finding guides, including the ABA’s A Birders Guide to Florida (4th edition) and A Birders Guide to the Bahama Islands, the Birding Florida Falcon Guide, Parrots of South Florida and The Crossley Guide; Eastern Birds. His documentation of parrot species in Miami was featured in the June/July 2008 issue of the National Wildlife Federation magazine and the November 1st, 2008 issue of Birders World (now Birdwatching). Bill Boeringer is an attorney specializing in maritime law, and has been practicing in Miami for over 30 years. He has been an avid birder since the early 1970s, starting with Lyman Langdon Audubon Society (Nassau County, NY) and continuing with Tropical Audubon after his family relocated to Miami in 1977. In addition to leading local trips for TAS, he has been a co-leader with Brian Rapoza on out-of-state TAS trips, and has led trips during local ABA Conventions. Bill is also Count Compiler for the Kendall Christmas Bird Count. Bill has been married to Liset, a native of Nicaragua, for over 25 years and has one daughter (who occasionally accompanies him on local trips). He and his wife also enjoy rock concerts, movies, and spending time with their daughter. Bill is still looking for a Mourning Warbler . . .
Paddy Cunningham has been a naturalist in South Florida for 35 years, managing nature centers and restoring habitat. Her passion is birds and she teaches a variety of bird classes to help birders gain advanced skills. She's presented workshops at numerous birding festivals, as well as regularly at Bonnet House and Flamingo Gardens in Broward County. Her motto is "You learn the I.D." Paddy’s company, Birding Adventures takes small groups of birders throughout Florida, the U.S. and the tropical destinations such as Jamaica and Colombia. She calls her trips "Intense Birding at a Relaxed Pace." She is also the Coordinator of the Everglades Birding Festival. Paddy is a popular speaker and guide at Florida birding festivals, including the Big O festival in Hendry County, the Bird Festival at Fairchild Gardens, the Wings & Wildflowers festival in Lake County and her own Everglades Birding Festival. Despite being a busy mom and a full time gifted science teacher, during a 2008 Big Year she was 1st in Florida, 20th in the lower 48 states and 27th overall for the A.B.A. area. She is proud to be sharing her native home with local and visiting birders and to show the uniqueness of the Everglades and it’s incredible birds. 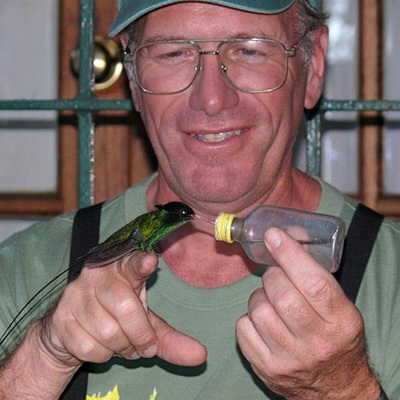 Currently retired, Robin Diaz is very active in birding and data collection related to bird conservation. Since 2002 she has been compiler for the Long Pine Key CBC and participates in many other South Florida Christmas Bird Counts. 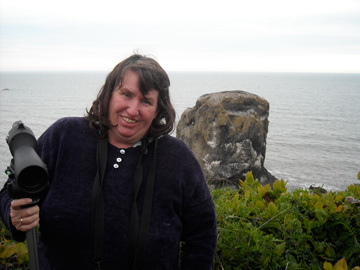 Robin has helped eBird as a county reviewer for the past seven years. Since 1997 Robin monitors the wintering Piping Plover population on Crandon Park Beach, especially keeping track of banded birds. In North Carolina, she conducts two Breeding Bird Surveys, a Nightjar Survey and numerous Important Birding Area point counts for Audubon North Carolina. Since 2002 she helps band birds each fall at Cape Florida Banding Station, where she also manages the Adopt-a-Net program. Before that, she helped with a MAPS banding station in North Carolina. Robin is an active volunteer at Bill Baggs Cape Florida State Park and in 2007 she received the Presidential Volunteer Service Gold Medal Award. In 2010 she was awarded Certificate of Recognition from the Florida Department of Environmental Protection for her volunteer efforts at Bill Baggs Cape Florida State Park. Robin is a regional compiler for the Florida Field Observation Committee and she also contributes articles to the TAS newsletter and website. Robin is technically a Miami native but grew up in Ft. Lauderdale where her father’s keen interest in Nature influenced her passion for birds and birdsong. She has a B.A. in Spanish and a Certificate in Latin American Area Studies from University of Florida. Later, she received a B.S. in Microbiology from Florida International University. She’s married to Manuel Luciano Diaz and luckily, their three daughters live in great birding locations. 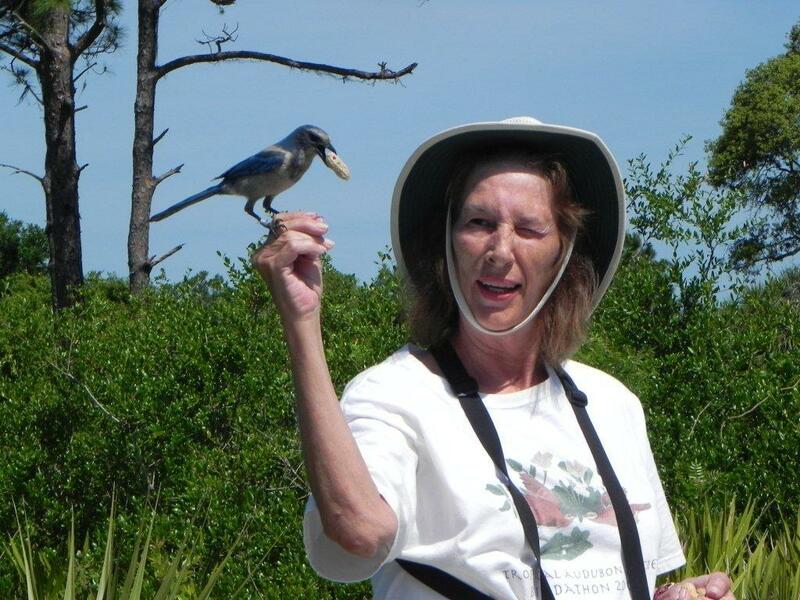 Nancy Freedman participated in her first TAS bird trip in September 1999, a walk led by Todd and Ellen Snow at Bill Baggs Cape Florida State Park. She has taken almost every weekly TAS walk since. From that beginning birder back in 1999, she went on to become a board member of Tropical Audubon for six years and a TAS trip leader for the last eight. Her walks take us to Wakodahatchee and Green Cay Wetlands, Okeeheelee Nature Center and other birding locales in Palm Beach County. 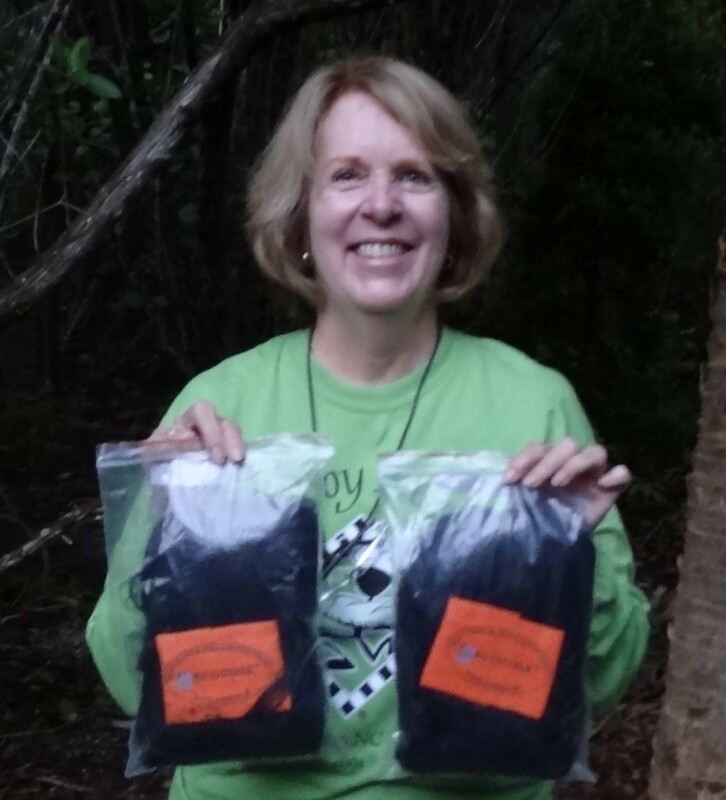 Nancy has been an Earthwatch volunteer since 1988, when she participated in a Human Origins in Africa study in Zaire (now the Democratic Republic of Congo). She's worked with sea turtles in Mexico (1989), St. Croix (1992) and Costa Rica (1999). She also participated in a wildlife dynamics study in Zimbabwe (1990) and returned to that country to work with endangered black rhinos (1996). In Kenya, she's studied African elephants (2000) and Grevy's zebras (2004). Her most recent Earthwatch assignment was a Conserving an Ecosystem project in Brazil’s Pantanal (2005). She has also participated in birding trips to Cuba, Uganda, Panama, Jamaica, Puerto Rico, Trinidad, Mexico, Ecuador and throughout the US with TAS and Wings. Nancy is a graduate of Florida International University and has worked as a legal assistant for 34 years. Luis Eduardo Gles is an economics graduate, but also an environmental scientist in the making. He graduated from Universidad Autónoma de Occidente in Colombia with a Bachelors in Economics and is currently attending Miami Dade College for his second degree. Shortly after he finished his first degree, while exploring the Andes mountains in South America, he was exposed to the incredible variety of birds in Colombia; it was at that point where he decided that the study of birds was his true passion. For almost seven years now, he has been involved with conservation foundations and bird tracking agencies there. He is one of the founding members of “Valley of the Colors,” an organization and tourist company which focuses on developing ecotourism products, especially for medium-sized tours for birds enthusiasts. To date, he has run tours in Colombia as well as in South Florida. Since 2014 he has participated in several South Florida Christmas Bird Counts and has also volunteered for the Cape Florida Banding Station. 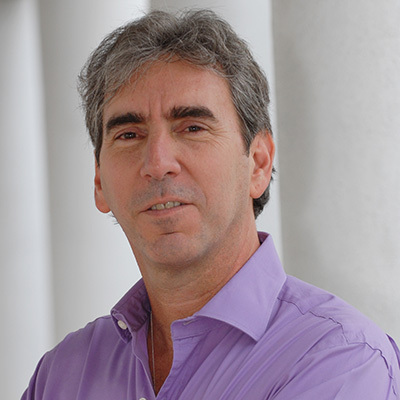 Luis Gonzalez is a Miami resident and IT major who was originally born and raised in Cuba. He is an avid lover of the natural world since a young age, with a strong love for paleontology when he was younger, but only took up birding in his last year of high school and hasn't looked back since. The bird family that got his attention was originally the herons, egrets and other wading birds, but as time went on, New World warblers, woodpeckers and ducks fueled the passion further. His only birding regret was not starting sooner while he was still in Cuba and final goal is to be able to bird at least once in every continent of the world, although he is mostly a Florida birder for the first 5+ years of his birding career. 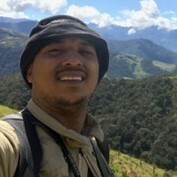 Luis is an avid eBirder, he likes to keep a good record of his lists, photographs as many species as he can, and encourages others to do the same. If you see him on the field or contact him, he will be sure to join you since birding is always better with an extra pair of binoculars. 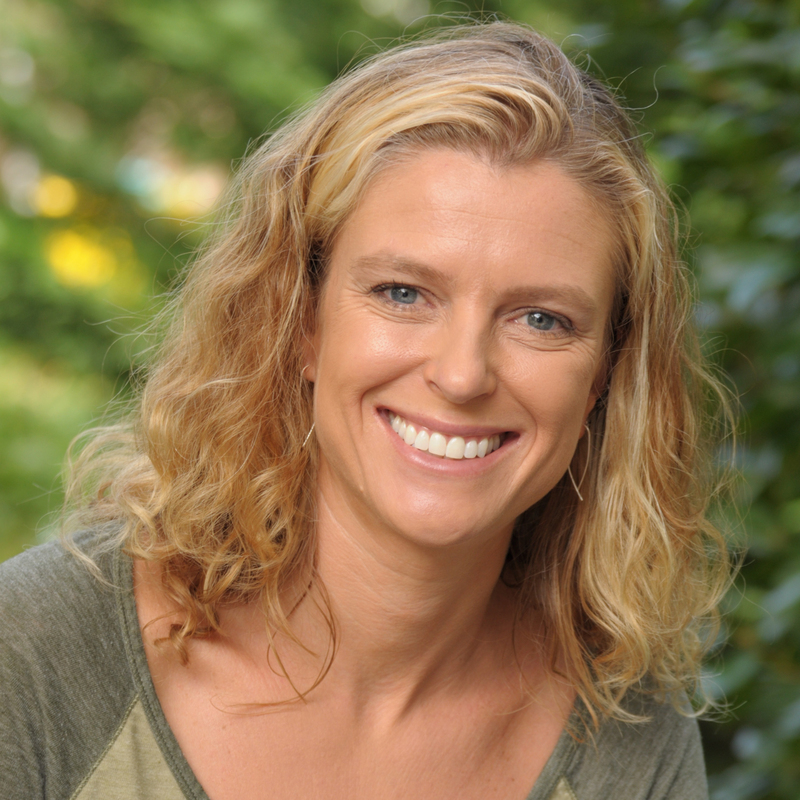 Kirsten Hines is a Coconut Grove-based author, photographer and conservationist. Anchored by her master’s degree in biology and background as an environmental educator, her writing and photography highlight nature and wildlife around the world, as well as closer to home where, among other conservation work, she aims to inspire the re-greening of South Florida’s urban corridor. Her photography illustrates her co-authored books Attracting Birds to South Florida Gardens (2015 Florida Book Awards winner, Home & Garden), Birds of Fairchild (2015 Florida Book Awards winner, Coffee Table Book), and the recently published book Biscayne National Park. She is also co-author of the award-winning book Key Biscayne and the Institute for Regional Conservation’s online native plant resource, Natives for Your Neighborhood. Kirsten’s photography has appeared in Shutterbug, Expressions, Audubon, various nature photography showcases, public art programs, and solo and juried exhibitions locally, nationally and internationally. More of her work can be seen on her website. John Hutchison has been an avid birder since age 7. In his teens he had the pleasure of birding with Roger Tory Peterson. After graduating from the University of Massachusetts with a bachelor's degree in wildlife biology, he spent four years as a medical service corps officer in the US Army. Following his service John continued his education with advanced degrees from the University of Southern California and from Western New England College. For over forty years John has been a bird trip leader for numerous organizations and is past president and lifetime honorary member of the Allen Bird Club of Springfield MA. For the last twenty five years John has served on the board of directors of the Fannie Mae Stebbins Refuge, a private 175 acre preserve. John is married to Jim Barnes, his partner of 34 years. They both play musical instruments, enjoy concerts and theater as well as art, cooking, nature and birding. Trey Mitchell began taking photos and birdwatching at the age of eight. Just two years later, he built his own darkroom to process photos in the garage with his dad. He and his neighborhood friends enjoyed spending time exploring natural areas in Houston Texas, the Bayou City. Trey would get up before sunrise and head out looking for wildlife; he spent much of the time sitting in trees hoping to get closer to birds. Trey received artistic training at the Houston High School for the Performing and Visual Arts. He lived in Miami since 1992 and for the last 10 years, spent much of his spare time birding and taking nature photos in Miami-Dade County. Birder first, photographer second, or sometimes the other way around. Trey loved sharing what he has learned over the years out in the field with anyone willing to listen. Trey was a software developer and created the website BirdADay.net, where birders from all over the world could post and share their observations as they attempt to see a bird a day, one day at a time. Trey passed away unexpectedly on November 8, 2017. He will be greatly missed. 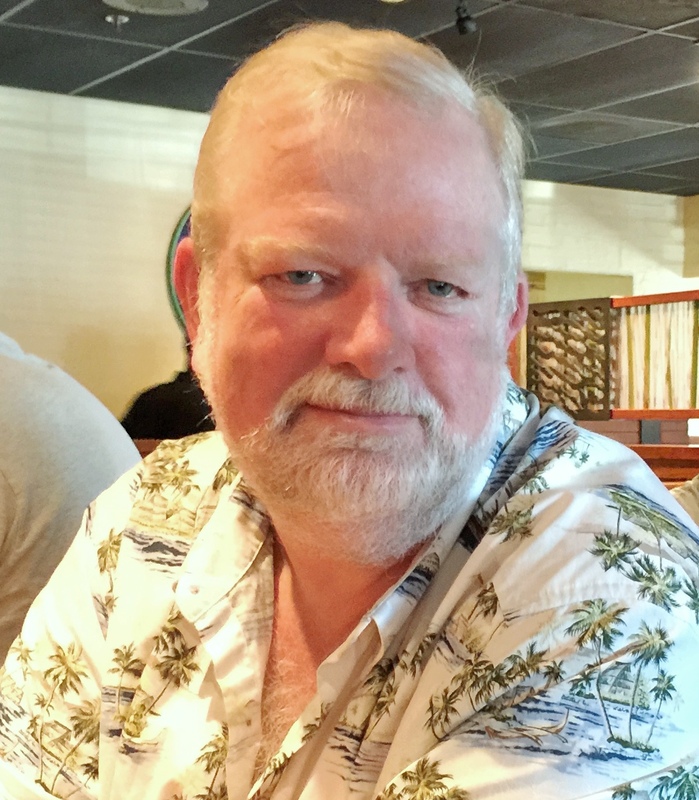 Brian Rapoza was, until his retirement in 2018, an environmental science teacher, outreach specialist and internship coordinator at MAST Academy, Maritime & Science Technology High School in Miami. During his tenure with the Miami-Dade County Public School system, dating to 1988, he has led thousands of school children on bird-watching expeditions through Everglades National Park and other area birding destinations. In 2006, he was named MAST Teacher of the Year. He has served as Tropical Audubon Society Field Trip Coordinator since joining the society’s board in 2001. In this role, he leads birding field trips throughout Florida, the U.S. and the Neotropics. Brian is the author of Birding Florida, a bird-finding guide to more than 200 locations throughout the state. Since 2001, he has also served as the Christmas Bird Counts compiler for both Miami and Coot Bay/Everglades National Park. 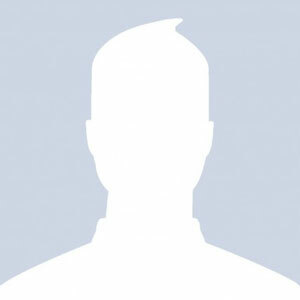 He is a returned Peace Corps Volunteer, having served in the Philippines from 1983 to 1985, and is past president of the Returned Peace Corps Volunteers of South Florida. Brian is originally from New Bedford, Massachusetts, attended the University of Massachusetts and graduated in 1980 with a B.S. in Marine Biology.